The Honda Mobilio for sale in Johannesburg. The seven-seater is available at Honda Sandton as well as at our other Honda Dealers in Johannesburg. The latest version of this Multi-Purpose Vehicle from Honda marks an evolution point in the MPV segment by offering a unique combination of sporty exterior along with space and utility. The Honda Mobilio suits the Honda customer’s varied lifestyles ranging from carpooling from Bedfordview to Sandton to lessen traffic congestion or a scenic drive to Heidelberg. 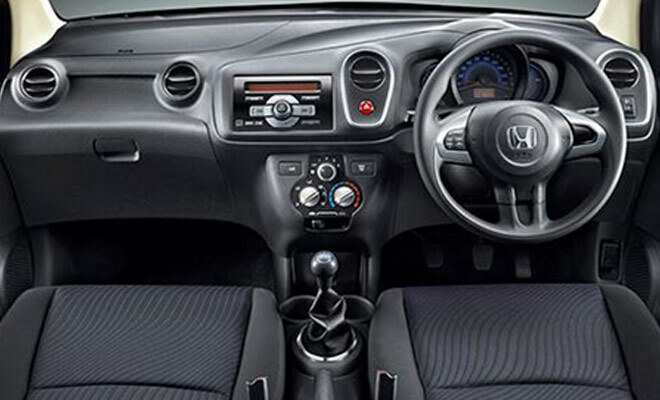 Maintaining the Honda design philosophy of “Man Maximum, Machine Minimum”, the Honda Mobilio interior design embraces prime comfort and spaciousness for all seven passengers. The third row seats fold down, and amplifies 521l luggage space in the boot. For those customers seeking comfort and utility, the Honda Mobilio offers flexible, foldable seats that can recline, giving extra ease. Other interior design features includes silver gear knob and handles, air-conditioning and rear air vent. 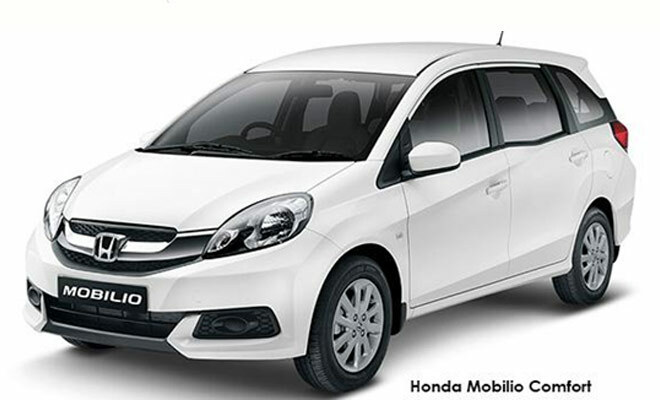 The Honda Mobilio comes standard with active and passive safety features include front driver and passenger SRS airbags, Anti-Lock Brake System (ABS) which prevents wheel lock during sudden braking and Electric Brake Distribution (EBD) which enhances braking performance. Safe to have is Honda Mobilio’s Advanced Compatibility Engineering (ACE) body, which enhances self-protection while mitigating damage to other vehicles in the event of a collision. Contact us to test-drive the car and experience for yourself just how much space, design and efficiency you can achieve in a MPV with the Honda Mobilio.